Our very first Levenshulme Pride was so good that we are doing it again on 17-19 August 2018. Levenshulme Pride was started because a couple walking down the A6 holding hands were called ‘faggots’. In an instant a pleasant walk in the sunshine became a homophobic hate crime. Just like that. Very casual. No big deal. Except we think it is a big deal! There was a discussion online where people were both appalled and supportive. What could be done? Well, Levenshulme Pride is what can be done. Levenshulme is a diverse, supportive, energetic and wonderful place to live but it faces challenges. What better way to counteract hatred than to show the pride we have in our community, the pride we have as LGBT+ people, the pride we have as we come together as a community to celebrate the variety of people living here and the strength that comes from that? The response to the suggestion of having Levenshulme Pride was amazing and immediate. The enthusiasm has been infectious and empowering. We started from nothing but we made something wonderful happen. Who is Levenshulme Pride for? 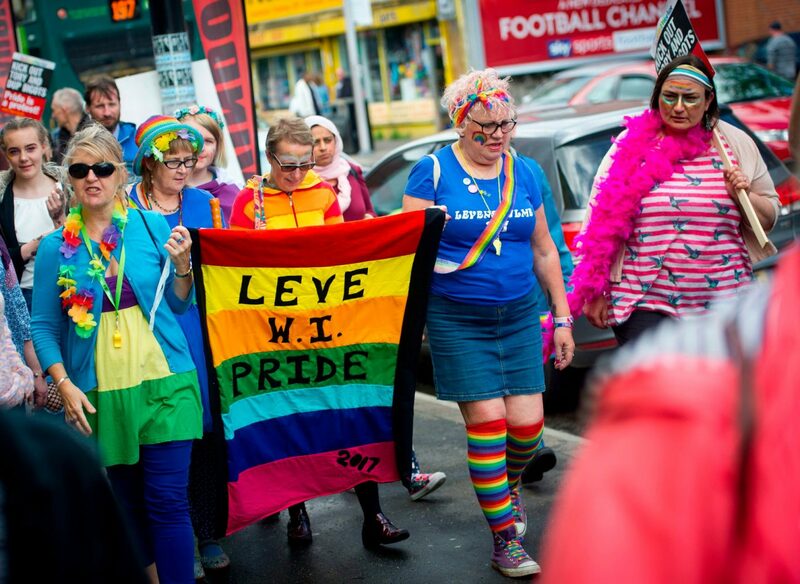 Levenshulme Pride will be an opportunity for LGBT people in Levenshulme and beyond to come together and celebrate being part of the great community of Levenshulme. It is a truly open and inclusive event. We welcome any and all people, community groups and businesses to show support for and become part of Levenshulme Pride. We are a People’s Pride. An act of defiance against hatred and intolerance. A chance to educate and inform. An opportunity for everyone in our community to show solidarity and support for each other. We will be coordinating events and activities across Levenshulme. This is very much a community event driven by and supported by the people of Levenshulme. Want to get involved? Have an idea? Want to put on an event as part of Levenshulme Pride? Get in touch. We welcome all ideas and support. In our second year support and engagement across our community has grew enormously. In 2017 we started with six venues. In 2018 we already had 17 venues with more groups involved and a wider variety of activities including live music, film screenings, theatre, fitness and mindfulness sessions, DJs, community activity, drag acts, poetry, cabaret, a tea party, an open mic evening, kids storytelling and workshops. We are also delighted to be partnering with the LGBT Foundation to provide an HIV testing facility. This year we will build on the successes of the last two years to make Levenshulme Pride the best it can be. Free for everyone and everyone free to take part.